Pievepelago is a comune in the Province of Modena in the Italian region of Emilia-Romagna in the heart of the northern Apennine Mountains. Do your shopping at La Cantina del Vino and Parco dell'Arte. You'll explore and learn at Museo dei Presepi and Museo Delle Mummie Roccapelago. Change things up with these side-trips from Pievepelago: Duomo di San Cristoforo (in Barga), Museo del Castagno - Lavoro Vita Civiltà, Loc. Colognora (in Colognora) and Centro Storico Castelvecchio Di Rocca Barbena (in Castelvecchio Pascoli). There's more to do: examine the collection at Museo Etnografico Don Luigi Pellegrini and contemplate in the serene atmosphere at Santuario dei Santi Pellegrino e Bianco. For reviews, other places to visit, photos, and tourist information, refer to the Pievepelago trip maker website . Venice to Pievepelago is an approximately 3.5-hour car ride. In February, daytime highs in Pievepelago are 15°C, while nighttime lows are 5°C. Wrap up your sightseeing on the 20th (Wed) to allow time to travel to Modena. Head to ACETAIA DEL CRISTO - Tradizione Balsamica dal 1849 and Palace Of Museumsfor some retail therapy. Duomo di Modena and Piazza Grande are good opportunities to explore the local culture. Explore the numerous day-trip ideas around Modena: Sassuolo (Palazzo Ducale Piano Primo & Chiesa di San Francesco in Rocca), Chiesa parrocchiale di San Giovanni Battista (in Soliera) and Carpi (Museo Monumento Al Deportato & Piazza dei Martiri). 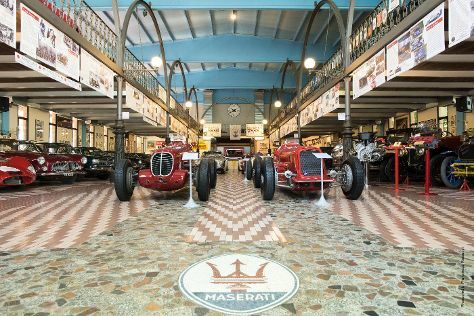 The adventure continues: examine the collection at Museo Ferrari, do a tasting at Acetaia Villa San Donnino, explore the world behind art at Galleria Estense, and take an in-depth tour of Abbazia di Nonantola - Museo Benedettino e Diocesano di Arte Sacra. To find other places to visit, ratings, maps, and more tourist information, read Modena road trip planner . Drive from Pievepelago to Modena in 2 hours. Expect little chillier temperatures when traveling from Pievepelago in February; daily highs in Modena reach 10°C and lows reach 1°C. Finish your sightseeing early on the 25th (Mon) so you can drive back home.